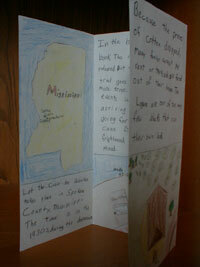 A setting pamphlet is just one of many possibilities for an extension project using a pamphlet or brochure format. Students select four or five key settings for significant events in the book or places that had major impacts on the characters' development. 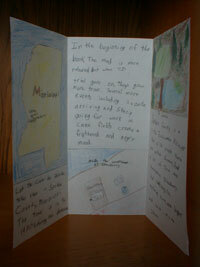 Each panel of the pamphlet can represent a different setting with an illustration and short written explanation of how that setting influenced the story or affected the characters' lives. 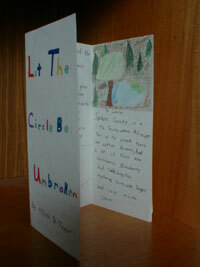 The example shown below is based on Let the Circle Be Unbroken, by Mildred Taylor .